Some services between Tweedbank and Edinburgh today have been abandoned, leading to what has been described by the transport firm as “minor disruption”. 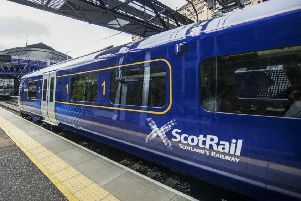 ScotRail said the cancellations on the Borders Railway, which stops at station including Gorebridge, Shawfair and Newcraighall, have been caused by a “shortage of train crew”. A ticket acceptance has been arranged with Borders buses between Edinburgh Waverley, Eskbank, Newtongrange, Gorebridge, Stow and Galashiels on the X95. Passengers planning to catch the 22:54 Edinburgh to Tweebank service will be able to use the coach service provided by AAA. Elsewhere, a failure of the electricty supply between Edinburgh and Haymarket is causing disruption to a number of ScotRail services between the Capital and Glasgow. Visit ScotRail’s website for more information.